With 2018 just around the corner, it’s time to bring things up to date, and add in news for the start of the new season. 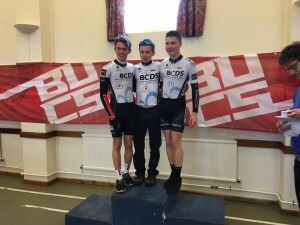 The big news is that I will no longer be riding for BCDS, instead racing and riding for Giant Halo CC, the same team that I guested for in the junior Tour of Ireland. 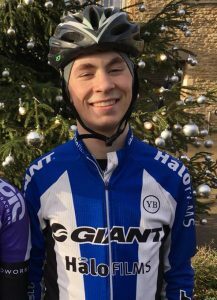 Giant Halo is a team I have always aspired to ride for as I have progressed through the age groups, and hope I can live up to the succcess that the team has experienced with National Series Overall wins as well as individual rounds and foreign nationals. I’m looking forward to riding along side strong riders of which are already good friends, and under the leadership of team manager Peter Georgi. 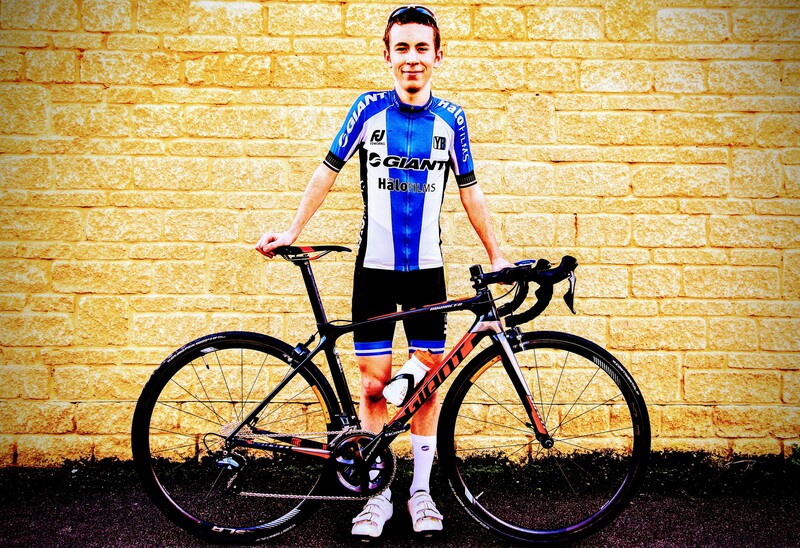 I’m also looking forward to riding the team bike, a Giant TCR Advanced Pro, and getting some top results on it. 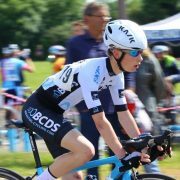 However I have thoroughly enjoyed my time riding for BCDS, and am very much grateful for the opportunities that the team has given me to race at national levels with a well respected and known team, not just as an individual rider. 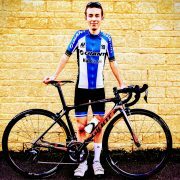 The set up has brought me on as a rider massively, and I can only thank the club for providing that opportunity for me to develop my skills, individually and as a team rider, where previously I have raced alone. 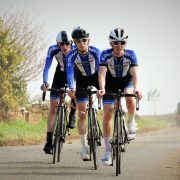 The team dynamic also allowed me to create some great friendships, that are sometimes rare in cycling, where riders are focused solely on their own aims, instead of for the greater good of those around them. 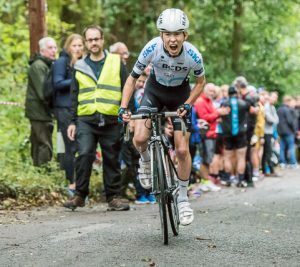 Racing the home event at the Tour of the Mendips this year was a personal highlight, the support from all of the club members, the ability to race on local roads and having legs to perform well in the final, although not quite the overall win! I’m certainly looking forward to the event next season racing for the new team. 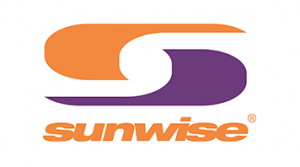 I’m also glad to confirm the continued sponsorship of Sunwise for the new season, the glasses this season have been absolutely class and have performed highly, not letting me down whatever the circumstances and conditions. My thanks to them for the support and I hope that I will do them justice and get some wins with them in 2018. 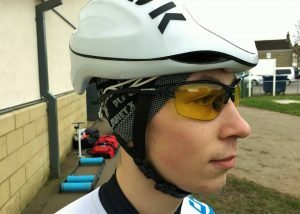 I will be supported with Sunwise Vertex, a high end pair of glasses which look amazing and will go with the new kit well, as well as giving me amazing vision in races, such is the Sunwise standard. 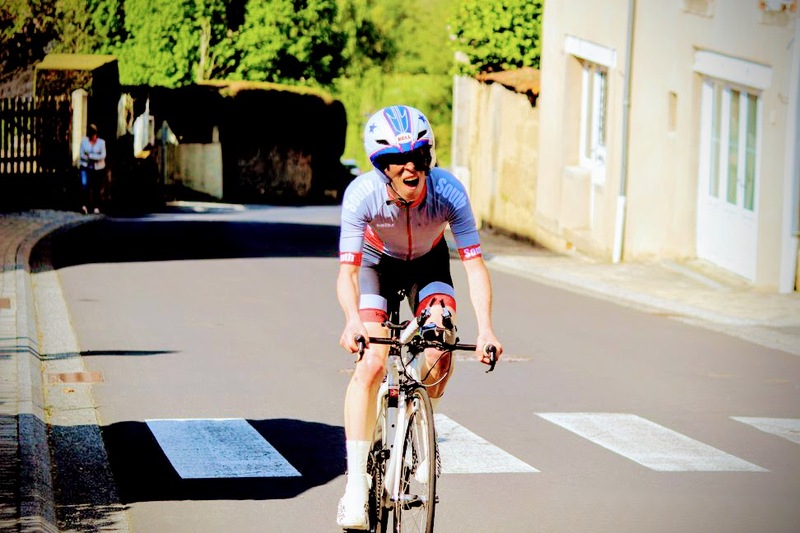 Also I’m looking forward to racing over on the continent, mainly so Belgian races, in the new year, something I haven’t done before, so that should be a great experience, as well as smashing the local races and British Junior National events. Plenty going on, so watch this space for future news and announcements. With 2017 now coming to a close, it’s time for me to reflect upon what has been an eventful year on and off of the bike, with big changes, but importantly always moving forwards and progressing. The year started off with early season crit races at Odd Down, the circuit that I first started to ride on when I’d have been an under 12, and now racing around it as a junior, a bit scary thinking how quickly times change. 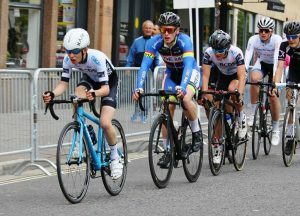 My early season targets were to pick up points, and in the early season crit races I just never seemed able to get it right, coming away with 10th places, where it should’ve been more. I had a brief spell of track racing, concluding in the first Icebreaker, a day that was bipolar to say the least. 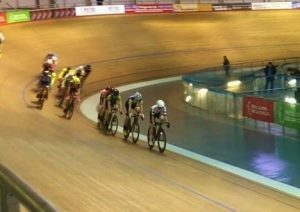 I had a really good scratch race, which was rare as I’m not the sharpest tactically, and track isn’t totally natural, so to place where I did was pleasing to say the least. This was then followed up by… last in the elimination race! Proud of how that happened! Best bit definitely being interviewed by the BCDS reporter after coming out early, what can be said! Got back into things in the points race, but a day I’ll remember for a while! 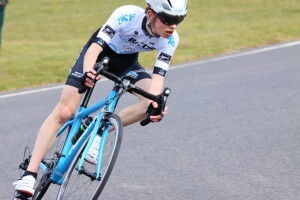 My best early season performance was for sure a 2nd at a junior race at Odd Down, where I managed to do everything right… apart from win the final sprint from the breakaway! Definitely showed me I just need to believe in myself, make the right decisions and the results will come. Onto the road races, starting with Primavera and Betty Pharoah. My first ever road races, nervous but much looking forward to them, as the roads were where I wanted to make a career. They both taught me a lot, of how positioning is crucial, and showed how a moment of concentration loss can have massive effects. I managed to come away with 5th and 4th respectively in the two events, which told me what I kinda knew, hills and road racing are my friends. Although the downside from Betty Pharoah was an injured knee which prevented riding, the perfect prep for upcoming Junior Nationals. 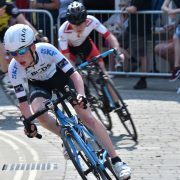 Cadence junior national was an experience, having only done a 40 mile ride the day before I wasn’t expecting to get round, just learn about junior racing for the next event. It was great fun, apart from nearly being taken out by a motorbike, cheers for that, and I managed to last longer than I expected, even deciding to follow attacks up the climb, a mistake that was regretted a lap later! 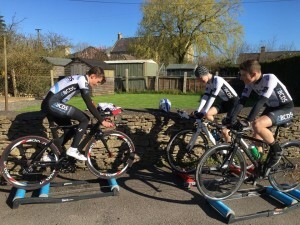 The Mendips, home race so important for a good showing. Prologue was alright, nothing special, but not a million miles off the pace, still in contention for the second day and climbs where the time was really important. 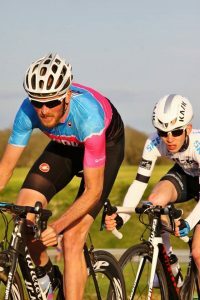 The home event feel of racing on training roads was great, and on both days I was able to be with the front, just falling off the pack on the final climb up west harptree at the last, but a good weekend out, made even nicer by winning the local rider prize! 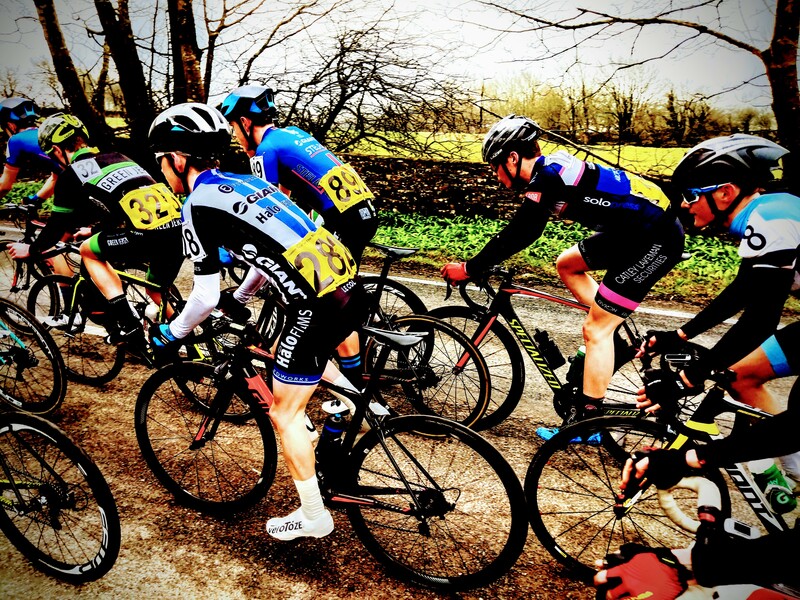 After that the big races died down, and it was back to crit racing with the occasional road race. The easter classic was nothing special, in fairness a lightweight like me was never going to do brilliantly, but still not the result I was hoping for. 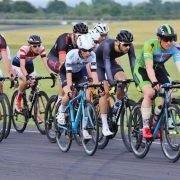 Another second place at Odd Down after going off the front in the last lap with my team mate who got the win was a highlight, it was a good dominant ride from both of us, and to get the 1-2 was even better, going into the joint lead in the series, despite not riding all of the rounds. Had a hit out a thruxton, a circuit I am yet to master, and where I’ve thought so many times that breaks would go, but never happening and then just badly positioned sprint, but attacking display that led to nothing this time, no last lap break! 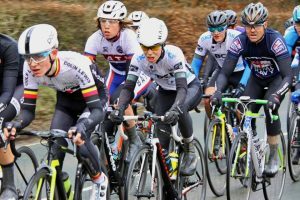 The best result in my eyes was the chitterne road race, where I raced well, got into the break of the day, then lost the wheel, went back to the pack, and was able to help a teammate to finish just outside the top 10, one of the hardest races I’d done, but it showed me what I could do. My task was still to get my 2nd cat license, and my plan was to do this before pesky GCSEs got in the way, but this never happened, I came close, and had it not been for riders refusing to work with me to pull an early break back a fourth place could easily have been a second place and points achieved, but it wasn’t to be. 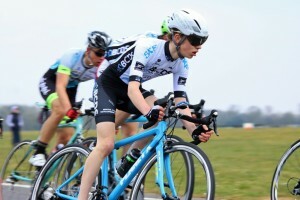 Happily though I raced mid GCSEs in a junior race at odd down and got the points needed, despite, interesting to say the least, riding styles and straight line sprinting from competitors. Now how to celebrate finishing GCSEs, I know, ride the Monmouth GP, obviously! No… just me! 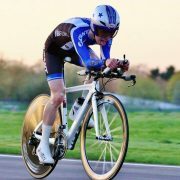 For a first proper race after decreased activity on the bike I wasn’t expecting to smash off the front and win, the target more just get round, which was accomplished. Not the best placing but lots never finished, and I know I made errors in final positioning, probably due to just being tired and the mental drain the race involved. Still happy to be on the bike getting smashed to bits instead of being in an exam hall writing about Shakespeare! This ended a hard week for me off the bike, with my guinea pig having to be put down, although just another reason to ride hard, his memory lives on. 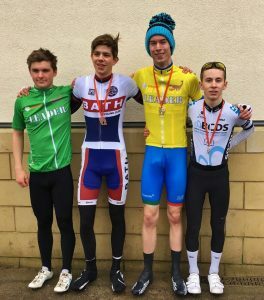 My next event was the biggest of my cycling career yet, a week long holiday in ireland, oh and apparently there was a junior tour going on! Ireland was such a great experience, like nothing I’d ever done before, teaching me loads about the life I wanted to have, from the highs to the lows. The best bit will be stage 5, the famous Gallows Hill finish, where I was able to come in the front bunch, just missing out on a top ten finish for the stage, another positioning error and better legs a different story. This much better than the low of a previous stage where i went down after 12km, fighting for 90km to finish the stage, get plastered up, and live to fight another day. Best experience I’ve ever had, and plan to go again next year with the target of winning it, so nothing too big! The highlight of the season for sure, nothing could ever follow it. Then in the year it was scarborough national, never raced there before, didn’t go well, in fairness taking a family holiday and working on a friends farm the week beforehand with minimal riding probably wasn’t the best prep in the world, just sometimes it goes wrong. It was also changing times for my development as I left EPiC Coaching, and went to Halo Coaching with Peter Georgi. I would just like to say thanks to Mark and all at EPIC for looking after my training and developing me as a rider over the years of coaching, as without that I would never be where I am today. 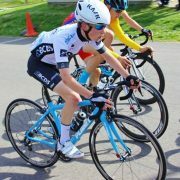 I then had my biggest disappointment of the season on the bike, I was declined a ride in the junior tour of wales, in fairness and looking back I had no national series points, and with aiming for riding the Tour of Ireland, and not racing due to GCSEs, I wasn’t high on the list for a ride. Nevermind, just more time to train, get stronger and come at it next year, although after riding Ireland, I wanted to do another tour. So instead I entered local races, and tried to race them. I say try, and I literally mean it! I think I raced less than 5km across the three races, with them being called off for all sorts of reasons, from no traffic stopping signs, a horse jumping a gate and landing in the pack and a safety risk in adjoining fields, it was an eventful period of trying to race. After the third cancelled race, although as riders we then held an unofficial race around the course instead, I decided that maybe this was trying to tell me to call it a year. So I did and took my off season break, allowing me to rest over my birthday, and get into A levels, so not the worst thing to happen. favourite climbs, Claverton Hill. A win in my age group, and 12th overall was a great end to the year, especially in front of what I consider my home crowd and team who got me racing and follow what I’m doing avidly, a club I will always be a member of. Several months of winter training later and here we are today, a lot stronger, fitter, experienced rider than a year ago. Sunday rides with Tav and the local strong riders building me up nicely, and with Peter’s work numbers are all much improved on last season, so onwards to 2018, hopefully wins and big things to come. Also I need to say a massive thank you to everyone who has supported me, from the sponsorship from Sunwise providing me excellent eyewear for the year, to family for support on the roadside and at home, for picking me up after crashes and the bad times, to friends for their support of what I’m doing, think it’s started to set in now I’ve managed to stay upright more! 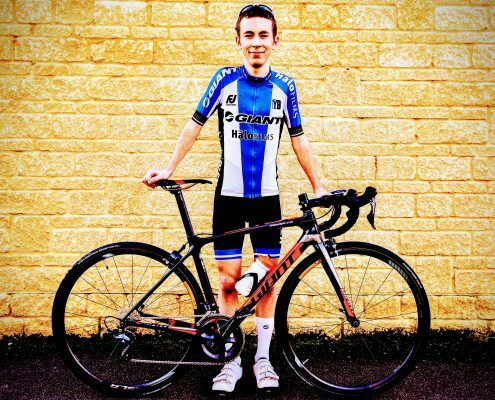 Also thanks to school for letting me ride my bike, and massive thanks to parents for feeding me, taking me all over the country to do what I love, and for just being them! On a personal note, thanks to Patch for being the biggest legend a guinea pig could be! 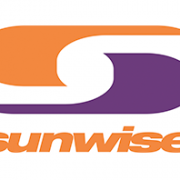 Really pleased to have Sunwise on board as a sponsor and supporter for 2017. 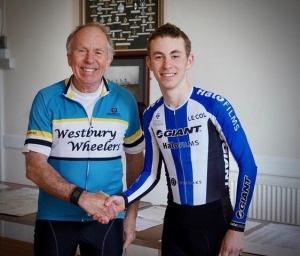 I’ve enjoyed a few training rides with the LatchemSunwise team, and big thanks to Lee for this support for the season. I got to Combe and signed on in the E/1/2 in plenty of time, so that I could prepare. 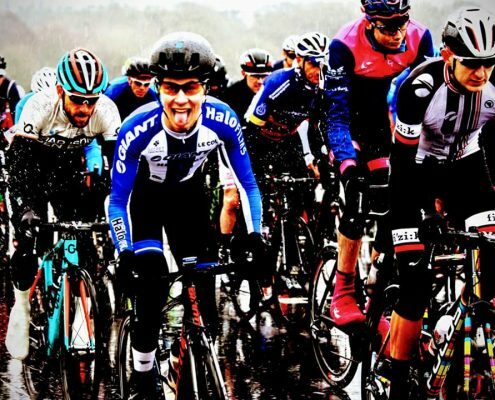 I asked other riders about it, and got some advice for the race having never done it before. I was a bit nervy, but this went away during the warm up, where by the end I started to feel quite good. I made sure that I didn’t rush. Once underway I made my way to the front early on, and stayed there as long as I could. The gearing was my main issue, I was able to keep up, but when the speed hit 55kph, it became difficult, and it felt like I was sprinting. I tried to hide from the wind, and stay concentrated throughout, although sometimes I had to be in the wind. When it slowed I moved up through, and held my own when it sped up. A break went, and I was at the front, so ended up trying to bridge it. I ended up with a rider, but I was unable to close the gap, and it was stupid to try and do so and stay out in the wind. I then returned to the pack, and clung on. This was the hardest part, and there was no let up in speed until the break was caught with 2 laps to go. When it settled I moved up, and into the final lap I was in a decent position. By now I felt like I was close to being out the back. In the run up to the sprint I kept moving up, but the final sprint on youth gearing was amusing, and a few riders came past me. By the end I felt like I couldn’t have kept doing that for much longer with that gearing, but I was extremely happy with my ride. I received plenty of help during the race, including another rider giving me a push to get back onto the wheel, and advice generally, which was much appreciated. 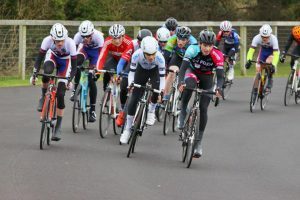 It was a good ride and other local riders recognised that, and it was a massive confidence boost ahead of the national race at Hillingdon at the weekend. 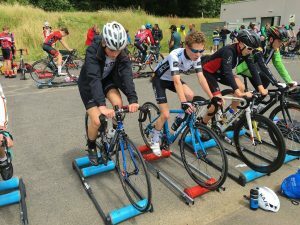 On Sunday 10th June it was the Youth National Championships, held at Hog Hill circuit, in Redbridge. As the name indicates, there was a hill, and every lap of the course we would go up it, for a total of 1.5 hours, around 30 ascents of the climb, which peaked at 20% in places. 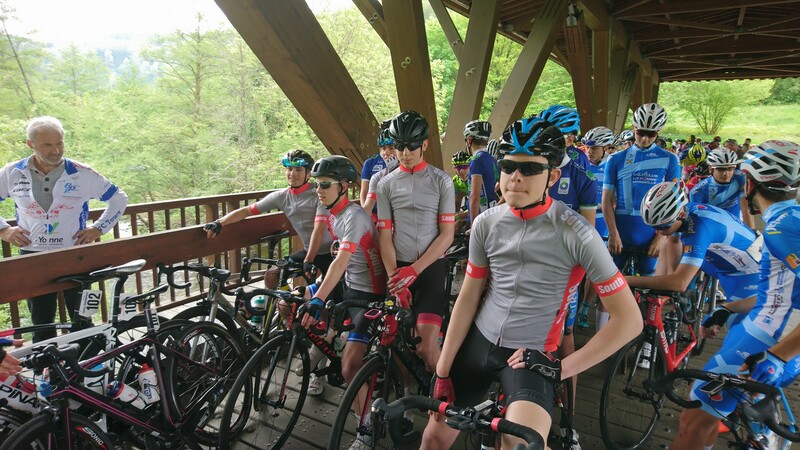 It would thin the starting pack of over 120 riders out for sure. Due to Laura racing earlier in the day, I was there about 6 hours before my race was going to start, which gave me plenty of time, so I inspected the course, especially the climb, as there was no opportunity to do a recon before the race. After that all that I was able to do was stand around, chat with friends and watch the racing, whilst hiding from short rain downfalls. The volume of riders made the eventual sign on a lengthy process, and it being close to race time it was essential to be near the front of the queue. Once changed and with numbers pinned, there was time for a decent warm up, a chat with my coach, and then it was time to go racing. 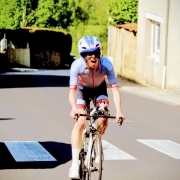 The gridding system was annoying, with a lottery style draw, with my number being drawn out right at the back, making life hard from the start, but nevertheless I got going, and moved up on the climb, as even on the first lap riders fell away. As the race wore on, the front pack narrowed down, and whilst it wasn’t like a steady family ride on holiday, it wasn’t unmanageable. The length of the race killed off riders, and with the warm temperatures it was essential to stay hydrated. Towards the end only the strongest riders were left, and there can’t have been more than 40 of us, a massive decrease from the 120 starters. The race was crash free until this point, so people just couldn’t handle the speed. In the final laps I lost concentration a bit, and ended up near the back of the pack, not the place to be going into the latter phases of the race. There was a small break up the road, which were being wound in by the minute. 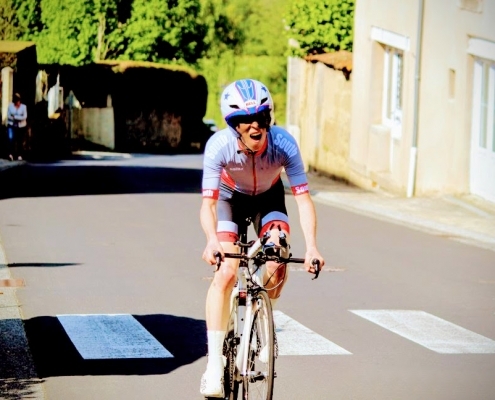 The final lap came, which surprised me a bit as I didn’t think we had been racing for that long, and in the run up to the final climb i knew where I wanted to be, on the outside, as the inside was even steeper, and would just sap speed like there was no tomorrow. Unfortunately the was a crash on the side of the climb i chose, and ended up going into the back of it, losing all speed, having to slam the brakes on, but still going into it. It meant having to get out of the carnage, and then try and get going, eventually coming across the line in 37th. Not a bad result, but it could have been improved so much without a crash and through having more confidence. A good day out nonetheless, and it was pleasing to see that my endurance was there, even if the confidence wasn’t totally there. 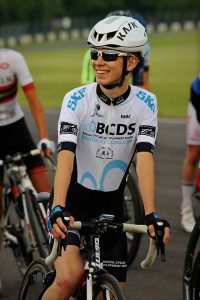 I knew I stood in good state for the rest of the season, and for the following year as a Junior with the long stage races. The milton keynes national had moved location, from the city center road circuit, to the MK Bowl. it was a quick circuit with tight turns, and a draggy, shallow climb that would shake of a few, but it wasn’t steep enough to fully sort out the pack. I did a couple of laps around the circuit in the wet, so knew what to expect in the race. I made sure to check all corners and straights so I had confidence in the course, as in the wet corners are more sketchy, and despite the forecast for the weather to improve, it was best to have knowledge. I stayed calm during the day, and made sure I ate and drank, and covered any nerves by talking and having a laugh with friends. This helped, and I made sure I wasn’t rushing at any point. After my warm up I felt strong, and on the start line I was in a much better mental state than any previous national, as well as physical condition. I was well prepared, and knew I could do well today. I started well, and was able to make my way up the pack a bit so I wasn’t directly at the back. I was still feeling strong up to about 1/2 hour in, where I could tell my legs were starting to feel the race. The race was much longer than any other national I had done, and at about 1/2 hour to go I could really feel the pain in my legs, but I knew that I had to hang in the group, as i was doing well and was on target for a high placing. Towards the end of the race several strong riders were going backwards, and unable to keep the high tempo that we were racing at. 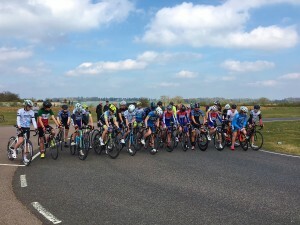 In the end there was only a small pack of 40 riders or so, from around 100 starters. The speed picked up, and the race lined out, which was made worse by riders not being able to hold the wheel, meaning I had to close several gaps to stay in contention. 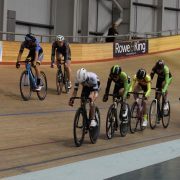 In the final lap I was caught behind a couple of crashes, ending my hopes of a high position in the sprint, but nevertheless i came across the line for 35th, which was a massive improvement from the MK National last season. The race could have gone better, but it was still an improvement, and that was key. 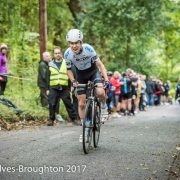 It gave me more confidence in bunch racing, and reassured me I could compete with the best in the country, and have the endurance to do it. It was a great day apart from the rain in the morning, and everyone had finished the race safely. 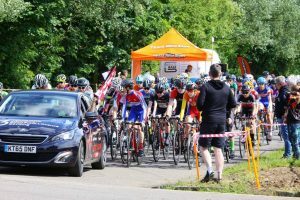 This weekend was a double race weekend, on the Saturday it was the Bristol GP, hosted by my own club BCDS, so it was a given that I was going to do that due to it being my own club. Then on the Sunday, it was trip down to the seaside town of Seaton, for the town cycle fest. 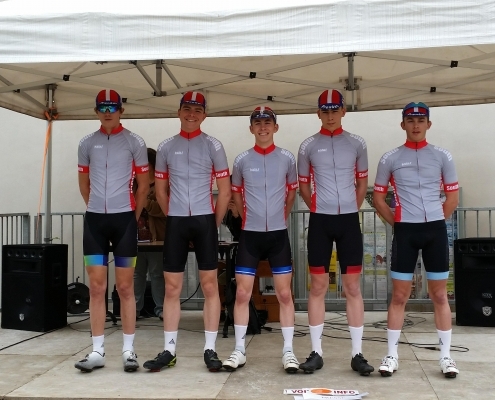 The nice thing about the weekend would be that i would always have teammates in the race, especially in the Bristol GP, where the majority of the academy would be taking part. The day of the Bristol GP was very nice weather, which definitely helped draw in crowds, making the racing have a great atmosphere. I was able to do a few laps of the course before the race began, and before my warm up, just to get to know the corners, as there were several tight turns, with quick approach speeds. The race soon split up due to these corners and speeds, which I was able to make the front bunch, due to my recon before the race. In the front bunch were several of my teammates, so we were able to have a small bit of control on the race. 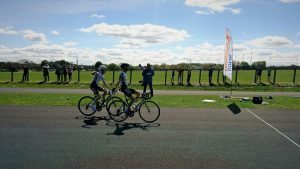 I had a couple of attacks, but they never came to anything due to the strength of the riders in the front bunch, and the cornery nature of the course. I really enjoyed the race, and coming into the final laps I moved up through the group, finding a good wheel for the final sprint. Unfortunately i ended up being swamped from all side from riders moving up last ditch, something that I should have been alert and aware of, so i went backwards in the group. With the final turns it was hard to move up, but nevertheless i managed to find positions, and came across the line in 6th. 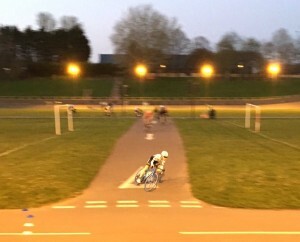 An improvement from the Winchester Crit, much more aggressive riding, but I just got caught out at the last. With that race done, it was time to cool down and head for home, and prepare for the second race of the weekend at Seaton. The drive to seaton was horrendous. The weather was foggy, wet, and the sat nav decided to send us down lanes, which only exaggerated the bad weather. Once there it was just thick fog, and riding a few hundred meters to sign on got the bikes dripping and clothes wet. Luckily by the start of the race the weather had cleared up, and it became quite pleasant, which was a nice surprise, as it made the course much safe and better to ride. 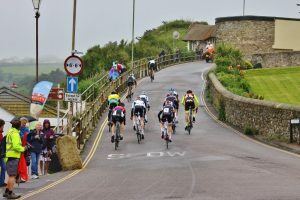 The race set of fairly quickly, and the first time over the climb killed off a lot of the riders, as hills are rare in youth racing. On the fourth lap the race completely split, a strong attack was made up the climb, and only me and another rider could follow it, with another group of three behind us. 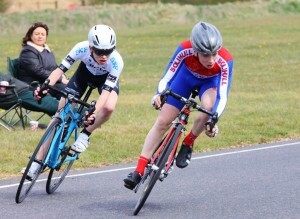 From racing yesterday, I was the weakest of the group, and was really feeling the effort of being away in the break, constantly extending the gap. Eventually I fell away from the break, and then I just had to get my head down and time trial to the end, but even with feeling awful I was still able to hold off the chasing pack, and came across the line for third, which was a great result, and showed that I was definitely heading in the right direction. 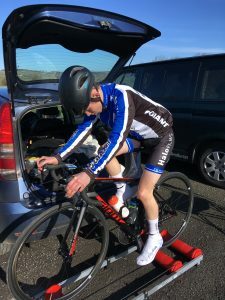 It was a great weekend of racing, one that I really enjoyed, and one where I got some very good results, especially on the second day, when I was most tired from the previous day’s efforts. 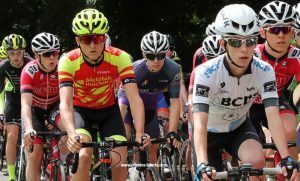 The Winchester Criterium, the south region championship. This was one of the biggest event in the south region, with over 30 people in my race, which was just under 16 boys. Id done the race previously, but never came away with any great result, as I was weaker, and hadn’t been racing for that long. I was a bit nervy before, and could tell this as on the rollers, but this was masked by warming up with friends and sharing jokes as we awaited our race. After the warm up I was feeling prepared for the race, and ready to give it my all, there was a jersey and title on offer after all. There was a slight delay before our race, as there was an incident in the Under 16 girls race, so we all had to wait around for the course to be clear. In wait before the start I made sure I stayed hydrated and sheltered from the sun, as it was a scorcher of a day. I got away well, but fell backwards a bit in the turns. 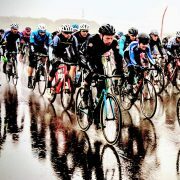 I made the front bunch, but for the first few laps I was on the back of it and couldn’t move up. When I did move up I got mid way through the group, and then on a corner had a rider chop across my wheel as I was turning. This spooked me, and then the crash that happened in front of me meant that I ended up chasing the pack for the rest of the race due to the cornery nature of the course and back markers. I got on in the final lap, and out of the final corner gave it my all, and came across the line 6th and completely empty, the hardest race of this season, with the average speed of our arce comparing closely to the elite adult race. I was pleased with the ride, although knew that if I had got over nerves I would have been higher up, but nevertheless it was a good day out, and something that i could build on for the rest of the season to improve my riding and results. On Friday 27th of May we headed up to the North West, for the national youth tour based around Lancashire and surrounding areas. It would be the biggest competition I had ever been in, and I was looking forward to it, especially as there was a hilly stage, where I hoped to perform well. The journey up wasn’t the best, we seemed to hit the half term and bank holiday traffic, and the M5 and M6 were chock a block, with queues of traffic. We eventually arrived at our home for the weekend after over 8 hours in the van travelling. Once unloaded, we headed to the nearest town to pick up some supplies and get some tea. We ended having fish and chips, followed by a short activation ride at about 10pm! After this it was leg shaving time and then time to sleep, luckily not an early start the next day! The first stage was a time trial along the Morecambe sea front, in an out and back loop that was just over 2km long. I was one of the first to leave the start ramp in my category, and put in a decent ride, although I would have liked it to be about 10 miles! I ended up placing 60th on GC at the end of the day, not the best result, but I had given it my all and was only a few seconds off a much higher placing. Post stage it was a trip to the local shops, and a stir fry cooked by dad to fuel us for the following day, the hilly stage that would create the GC splits. It would be an earlier start in he morning! Joy! Stage two was located in a cattle market car park, with the animal auction site visible, and on the other side of the car park was an abattoir, happy settings, and a lovely smell, as could be imagined. 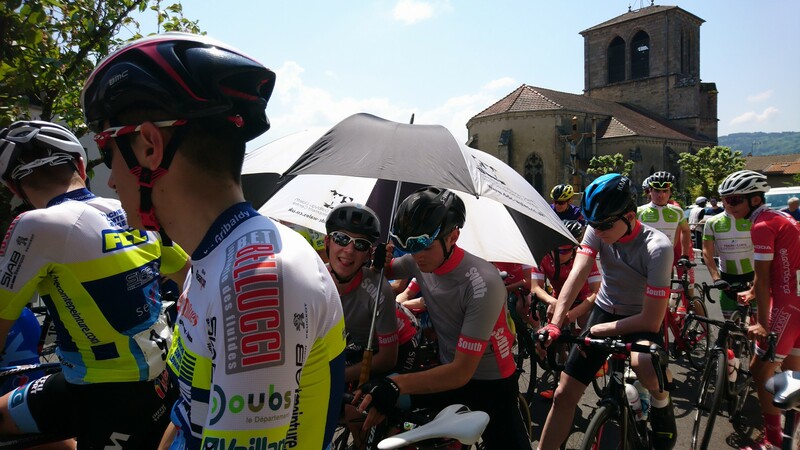 With an early sign on and a race later on in the day, there was time to chill out and find shade, with the BCDS and Backstedt contingent in the back of the van! Once changed and warmed up, it was time to race. We had done a ride of the course after yesterday’s stage, so I knew what to expect. The first couple of times up the climb were rapid, and hitting speeds in excess of 40mph on the fast descent, before going straight back uphill. After that it settled down, but the bunch had thinned out massively, with the hill taking its effect on some riders. 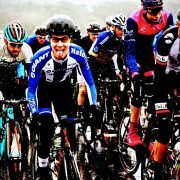 I was able to stay in he front bunch, most of the time comfortable, but when strong attacks came I was able to react but it hurt! At the halfway point I started to feel the race, so had a gel, followed by another a couple of laps later, and I was glad I had put them in my pocket! With hot weather drinking was vital, as I needed to avoid dehydration. Unfortunately with two laps to go I cramped up, it hurt to free wheel, and it hurt to pedal, but I had no option about the latter as I was still in the front bunch. I had run out of fluids, so just had to push through it. With one lap to go I started thinking about the finish, and prepared to move up on the climb. Now the group was only about 25 riders strong, and on the steepest part the speed was put on, and gaps opened up. I got past riders, and finished 21st, which I was extremely pleased with. I would have liked to have been higher placed, but I had given it everything. This ride moved me to 23rd on GC, a massive increase, putting minutes into near riders. After my ride and cool down, I couldn’t even get off the bike! Once recovered though, I then walked all the way up the climb to watch others race, and give support to them, on a brutal course. 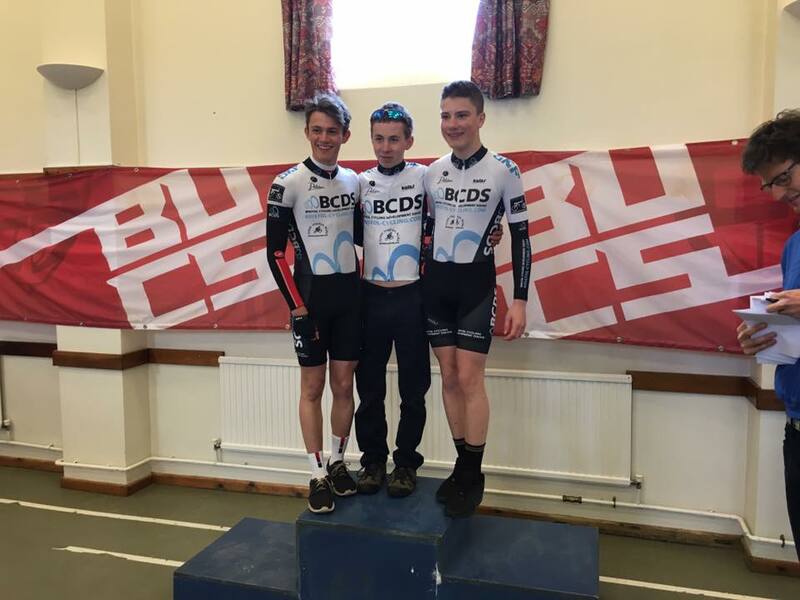 It was a good day for the BCDS riders, with Laura placing highly despite dropping her chain on the climb whilst in the lead group, Charlie performing well on his less favoured terrain, and Sam doing well on his less favoured terrain as well. After the finish of the day there was a reward in the form of a barbecue hosted by the Thatcher’s, followed by packing up our things that we bought, with it being our last night and another early start ahead. A decent sleep later, it was time to leave and head to the final couple of stages, hosted at the Salt Ayre Race Circuit, a narrow twisty circuit, renown for fast races and sprint finishes. We ended up in the middle of the circuit, able to view other races from both sides of the circuit, and near a crossing point. Once signed on for the final time, time to change and prepare for stage 3, 22 laps of the circuit in a clockwise direction, a total of 28km. Due to my performance yesterday, I would be gridded for the stage, meaning that I avoided the mad rush, and could take extra time preparing. The race was quick, and due to the narrowness of the circuit almost impossible to move up in the group. 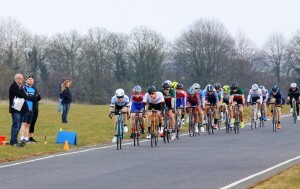 I ended up towards the back of the group, and avoided a crash at close quarters to me, but still meaning I had to give chase to get into the front group again, but it only took a matter of a straight. There wasn’t much let up in the pace, and this increased towards the end. I was content with finishing upright, after realising there was no real way that there would be any GC splits, or ways I could move up in general classification. Stage 3 finished, still in 23rd on GC, and still upright. A cool down later it was time to change into normal clothes, eat, rest and then get ready for stage 4. This was again on the same circuit, but anti-clockwise this time, and due to time constraints on 20 laps, about 25.5km. Another sprint was expected, and a change in GC leader could make the race a whole lot quicker and harder. It was set off, and within the first 100m a rider had hit the deck, and we had to restart. After the restart the race was quick, and it became apparent that there were a lot of tired minds in the pack, as some of the riding was dubious. Towards the end it got nervy, with riders being pushed onto the grass in some corners, and some swerving and back wheel locking! Towards the final laps the pace picked up, and in the final corner a big crash happened, with lots of riders hitting the deck in front of me. It was a case of getting out the way, and then sprinting for the line. I finished about half way down the pack, which I was happy with, as it meant no GC splits and since I had got caught behind the crash. The final line marked the end of the tour, and due to a rider having to pull out mid race after a mechanical incident, I was up to 22nd on general classification. I was happy with this result, and knew that in every stage I had given it my all, although a bit more clever riding could have placed me even higher. 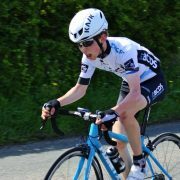 Nonetheless I was pleased since it was my first tour, and gives me confidence for future road races as a youth and a junior rider. An enjoyable weekend spent with good friends and some great racing across the categories. All that was left was to load up the van, and begin the journey home, which thankfully had better traffic than the journey up. 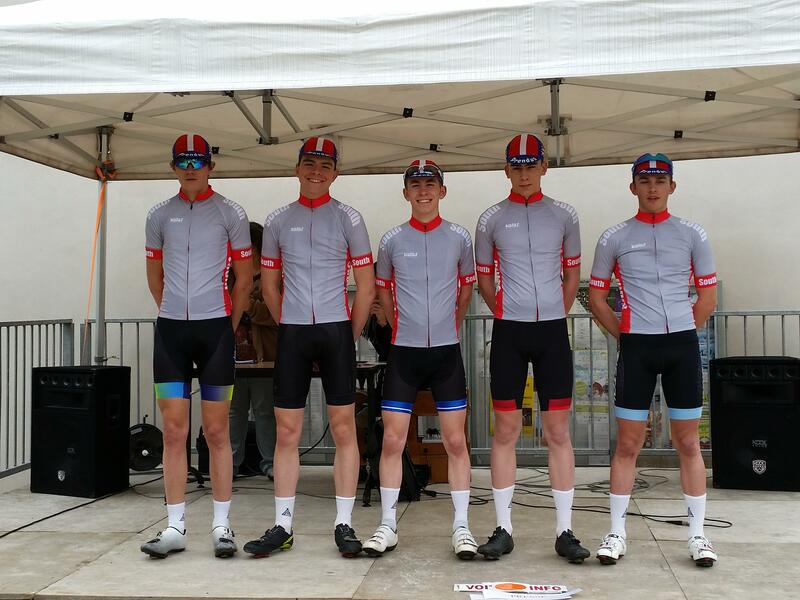 A big thanks to the organisers of the North West Tour and the sponsors and volunteers who made the event possible. Also a massive thanks to Dad for driving us there and both Mum and Dad for constant support over the weekend, along with our friends. 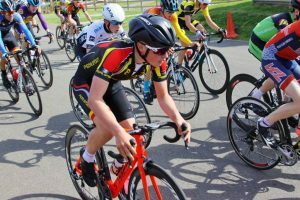 The final regional omnium of the series for the southern region was held at Newport. 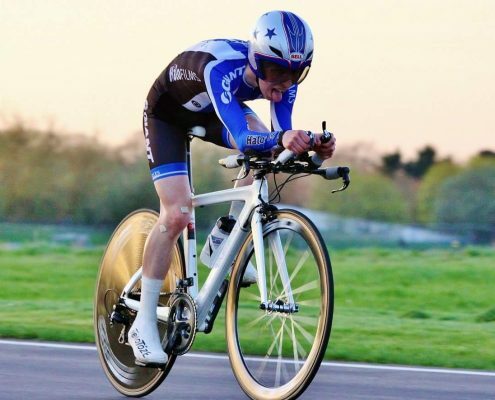 The omnium series hadn’t gone brilliantly for me, the first one was rained off, I didn’t perform massively well at Maindy, and I had been unable to ride the one at Palmer Park due to a crash the Thursday before. So for this one I aimed to do well, whilst I knew I couldn’t qualify, it would be important to prove myself. The events would be 1km Pursuit, Elimination, Scratch and Points race. On the rollers for the warm up for the pursuit, at the start I was feeling great going into the pursuit. I got away well but the rear wheel slipped and sliced all over the track. From here on in I was fighting to make up for that, but towards the end I died off, and came across the line knowing I couldn’t go for much longer. I was disappointed with my run, I couldn’t help the start, but I knew that I should have gone quicker. Start of the scratch was comfortable, I made sure I was on the right wheels throughout. This payed off, as when it went I was able to jump on the back of the strong break away. I then spent the rest of the race out there. I came across the line dead, but happy with my final placing. By the elimination I was feeling a bit tired, so I used my knowledge to shelter and do as little work as possible. I was able to remain in it for a long time, and towards the end I was having to come over the top every time. I should have come down onto the front instead of having to sprint each time. I couldn’t get around a rider, so I went out 8th, but I was happy with this, although I knew it could easily be improved. 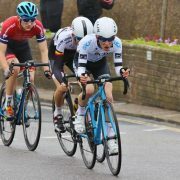 In the points race I made an attack off the front before the first sprint, as I saw two strong sprinters stalking each other high, so saw a chance. I was joined by a rider, and we got an advantage. Going into the bell lap I committed the crime of looking backwards for the pack, instead of focussing on the sprint. I was about to come out in the final banking, but was swamped, so finished an agonising 5th. From there on in I was just surviving, and staying with the group. I gave it my all in the final sprint, making sure I was high up in the end of the race. I didn’t get points which was annoying, but I was glad to have given it a go rather than sit in the pack for all the time. 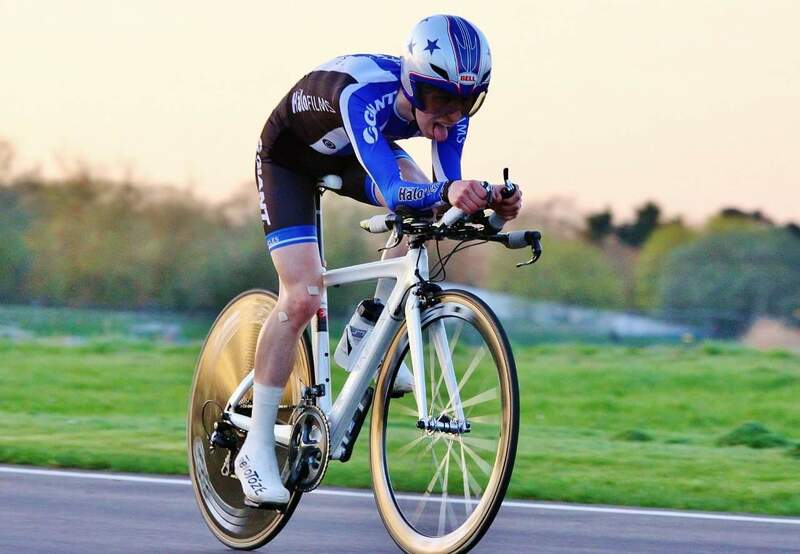 It was my best omnium by far, and a shame that they had to end there, as I felt that towards the end of the day that I was coming into a good track tactics head. I was pleased with how I’d ridden, and knew without issues in the pursuit I would be a lot higher up in the standings. 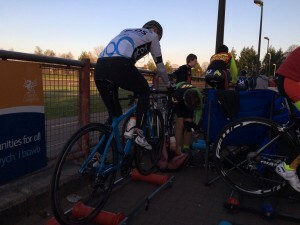 On Tuesday 19th April we went racing at Maindy track, but this time on road bikes! Before I had only ridden the track bike there, but the organisers had created a technical course with lots of tight bends and corners using the centre of the track. We ended up arriving early – a couple of hours before our race, as traffic was good on the way down, and the racing ended up being delayed slightly. This gave plenty of time for getting ready to race from the sign on and change into kit to the warm up itself. 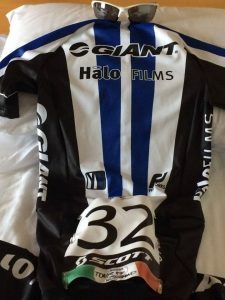 It also allowed time to pin my Garmin into the skinsuit, as the comissaire didn’t want units on display for distraction reasons. I didn’t get away at all well, I messed up clipping in, and without thinking I started at the bottom of the track, so didn’t have any height as extra speed to get going with. Due to this I got swamped from above, and I managed to clip in half a lap later. It meant I was at the back of the line, so I spent the next laps moving up through when I could. Unfortunately it split when I was one bike behind the last rider who made the split. Once I saw this I engaged in a chase, although moving though the group had taken an effect on me. 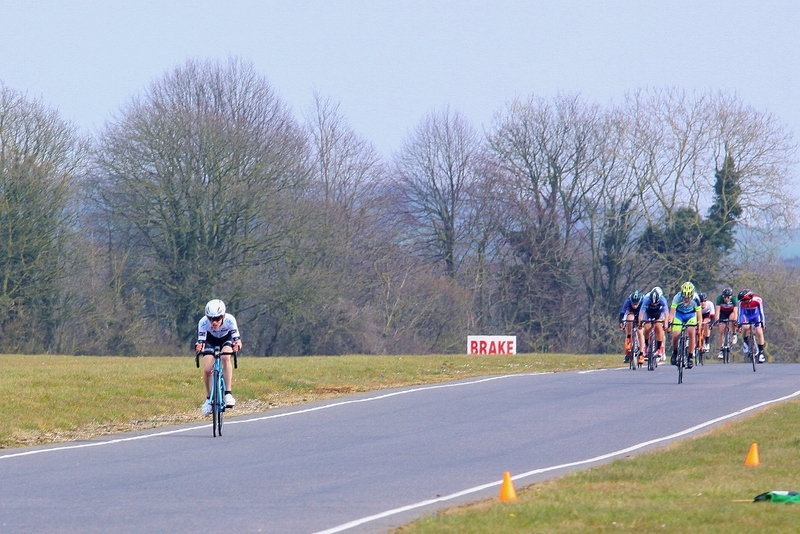 I kept chasing, and on one lap the gap would shorten, the next lap it would slightly extend. 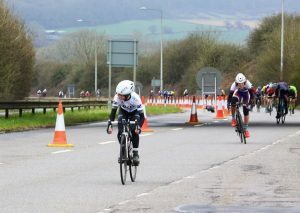 I was doing well at closing the gap and all the while putting time into the chasing pack behind me. I then got stuck behind two back markers on the technical part of the course. 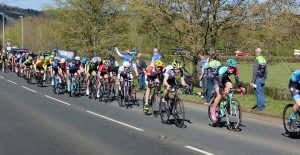 This slowed me, the leaders got further away and the chasing pack closed in. I was starting to tire now, and shortly after this I was back in the chasing pack. 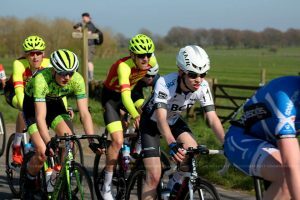 After a couple of laps in the pack, I launched again, as I was recovering in the pack, and it was making no inroads into the break. I got away and established the gap well, and it was a big effort. I then pulled two riders back from the break who had dropped off, and I went straight over the top of them. I was able to keep the gap to the pack, and was extending my advantage. But I was feeling the effects of my work. Again I got caught behind back markers in the technical part, which took distance out of my lead. I then got another bit of bad luck, as the chasing pack were now being towed to me by a lapping rider that they sat on the back of. Due to this, my advantage diminished greatly, and in a few laps I was back with the smaller chasing pack. I then stayed on this pack, but made attacks whenever I could, but I didn’t manage to properly open a gap. With three laps to go, I started thinking about the finish, as I was now feeling like I had a bit more in the tank for the final sprint. With two to go I started to move up to my preferred second wheel. As I was moving up and there was a lap to go, the lead rider was finishing, and where we crossed the line at the same time, that was the end of the race. I didn’t know this, so did an extra lap, as when approaching the line I saw 1 to go. Due to this I ended up finishing 6th, but felt good and could have probably been 4th. This was annoying, but I was glad of my moving up, otherwise I would have been even worse off. I had given a good effort throughout the race, made some good long attacks, but it didn’t go all to plan after a bad start, but that’s racing. Now all that was left was a cool down, get my race license back, change and then head home again to rest and recover for the next day of riding. 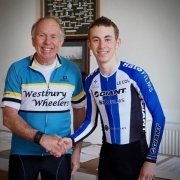 On Sunday 17th April, Dad and I were taking part in a three up team time trial organised by Bath University. We were taking part in the open event that ran in the morning, with the university competition in the afternoon. I was riding with my BCDS teammates; Charlie and George, and Dad with Charlie’s dad Simon, and George’s dad Russ. We had attempted a course recce on the Tuesday, but 15 minutes in to this my rear tub exploded after hitting a nasty pothole, so that was the end of my ride, with the others continuing to ride the course after it became apparent that I was unable to continue. We arrived in plenty of time, and met up with our teammates and got sorted out in terms of signing on and getting into kit. All of us warmed up together doing the same, so got the team spirit going. By the end I was feeling good, and ready to go hard. We made our way to the start, and were soon away. We started hard, and got away and up to speed well. The first time up the sharp climb I was on the front, and kept it together. Once over the top I got it up to speed, and then changed. Coming onto the A420 I was on the front, and I changed as I’d just done a turn and Charlie was going to pull it up to speed and along. Once at the speed we kept it up, changing when we started to fade. I ended up doing a shorter turn, as the climb was coming and I was going to pull up it, so we got changes in to give me a short recovery, going into the bottom of the climb in the best place possible. Once on the climb I kept a steady pace, making sure my team mates kept together. Over the top I stayed on the front until we were up to speed, before changing. After a few more turns I began to feel the effects of the long effort up the climb. Towards Castle Combe I missed a turn, as I was suffering and wanted a bit more recovery, as I thought it would be better to do it now rather than later. Once I had recovered a bit, I was able to go hard again, and do long turns maintaining the speeds. Near the end of the run I was feeling tired but strong, and I was confident that I could last at a high intensity. We were able to do the same stretches of road on the front as when we started, and we knew that worked. Going up the final climb we stayed together. I then stayed on the front, as we went up the climb hard. I thought the finish was closer to the top of the climb, so I was emptying myself too early. I was able to keep increasing the speed, and when I could see the finish I was relieved. The message was shared, and we all fanned out and sprinted for the line. I was absolutely dead once past the line, and we had done a great ride that we were all pleased with. We ended up riding a 54:27 for the 36Km, which was good enough for fourth overall and the quickest juvenile time by a fair distance. The dads team did a 58:48, which was a good time as they were plagued with technical difficulties. 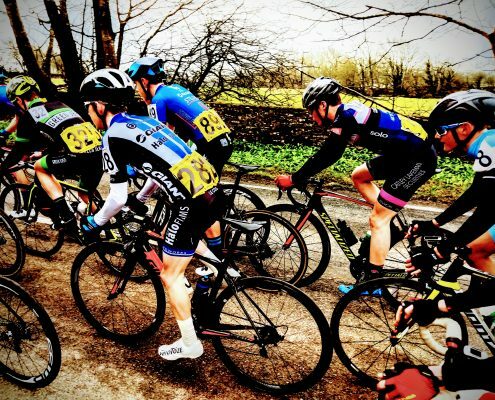 On Sunday 3rd April, it was off to Enstone and Zappi’s Crit number 5. 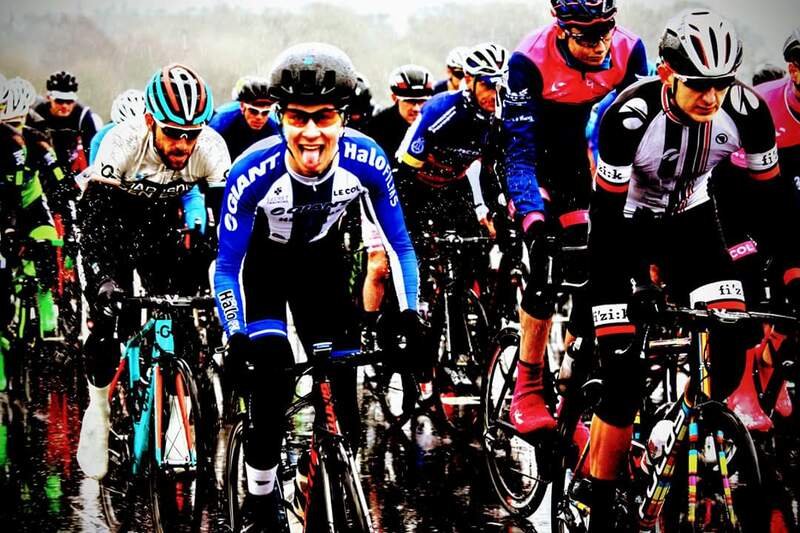 A number of teammates were also racing, and as a team we were going to try and make plenty of attacks in the race. We got there early, as my sister Laura was racing before me, giving me plenty of time to get ready, into kit and warmed up. A couple of recon laps as a pack and we were ready to race. I got an ok start, some riders “jumped the gun” and once clipped in I got to the middle of the pack. This remained for the lap, and then a lap later when pace was added, I had to make my way up the pack. Once there I sat myself in towards the front. A teammate attacked as planned, and then once he was back, I prepared myself to launch the next attack. When I went I opened up a gap, and then kept pushing even though the pack were close, it strung out and gaps started to open. The strongest riders got to me half a lap later, but they all sat up. I looked back and saw gaps, so I decided to kick on again. No one followed straight away, and I opened up a large gap, and I kept pushing. I got into TT mode, and kept going, and the distance back to the chasing bunch grew. A few laps later I became aware of a rider who was bridging across. Once he had made it we worked together, and I quickly realised that we were likely to stay away. The gap grew out which I was glad about because I was starting to run out of energy. Even when Nathan launched off the front of the pack he wasn’t making any inroads to us. With the lap board indicating the countdown from five laps I was delighted, as I was really starting to feel the effort, as the race had been full gas from the off and I had been out front for the majority of the race. It was during this lap or one later that through the chicane I lost the wheel of the rider I was working with, and was too tired to chase back on. I then had to keep going, and it was more a mental thing, I told myself that I had to keep pushing for 4 laps, after all I had been able to push for the previous 30 minutes! This got me through the laps, and I kept doing the countdown, which helped me. I knew in the final lap that I would be second, and it was extremely pleasing. I kept pushing until near the line, where it was nice to finish not in a sprint and secure with my placing. At the end I was really happy with my race, and where I had come. I had given it a a couple of attacks and been able to get away for the break, and was able to keep pushing through the pain. My tactic had worked this time, and I had got a good result. I know it is a case of varying tactics in future races, but you never know, next time it may be a win. After a cool down, it was time for food, in particular Dad’s birthday cake, although I’m not sure of its nutritional value for recovery!